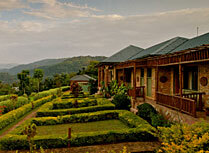 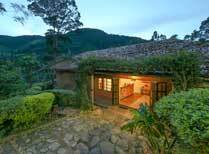 Perched on a hill, overlooking the Bwindi Impenetrable Forest, home of the mountain gorillas. 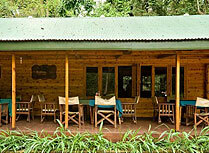 Engagi Lodge Bwindi is located just 5 kms from the park gate in Buhoma and offers comfortable rustic accommodation. 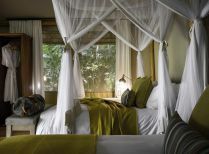 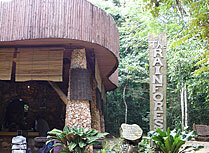 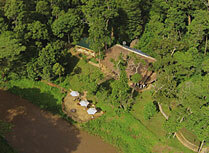 An upmarket tented camp, ideal as a base from which to go gorilla trekking in Bwindi Forest. 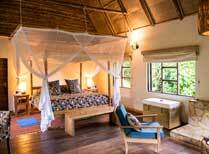 All-suite lodge just outside Bwindi Impenetrable Forest, with ample space for rest and relaxation between gorilla trekking and nature walks. 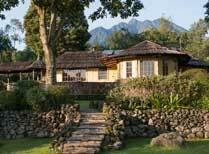 Set in the foothills of the Virunga Mountains, the lodge offers gorilla and golden monkey tracking and the chance to meet local Batwa people. 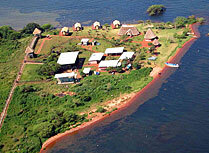 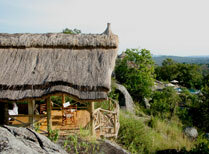 Unique tented camp situated on Ngamba Island chimpanzee sanctuary. 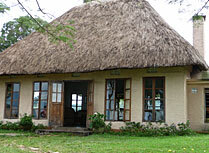 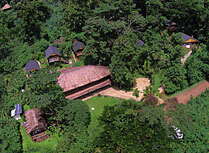 A good mid-range lodge in Buhoma; great as a base from which to see the gorillas. 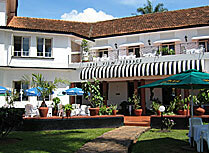 Emin Pasha Hotel is a blend of old world charm and modern amenities in a peaceful location in the heart of Kampala. 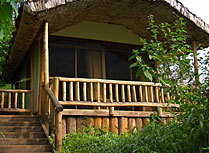 A lovely lodge on a hill adjacent to Lake Mburo National Park. 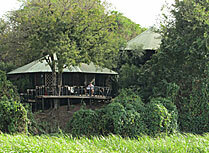 10 luxury tented rooms each in a secluded setting. 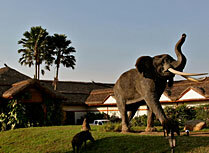 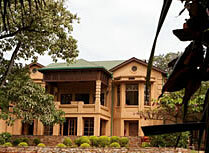 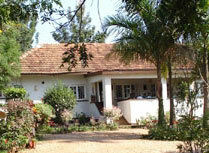 Windsor Lake Victoria Hotel enjoys a lovely location next to Entebbe Botanical Gardens. 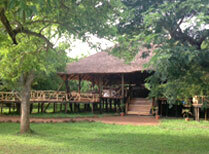 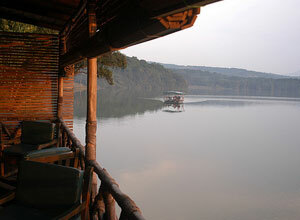 A lovely rustic lodge on a crater lake in Queen Elizabeth National Park. 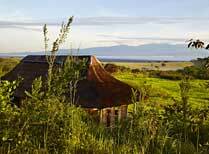 Stylishly renovated coffee lodge with far reaching savannna views, offering chimp tracking, game drives, cruises and cultural trips.